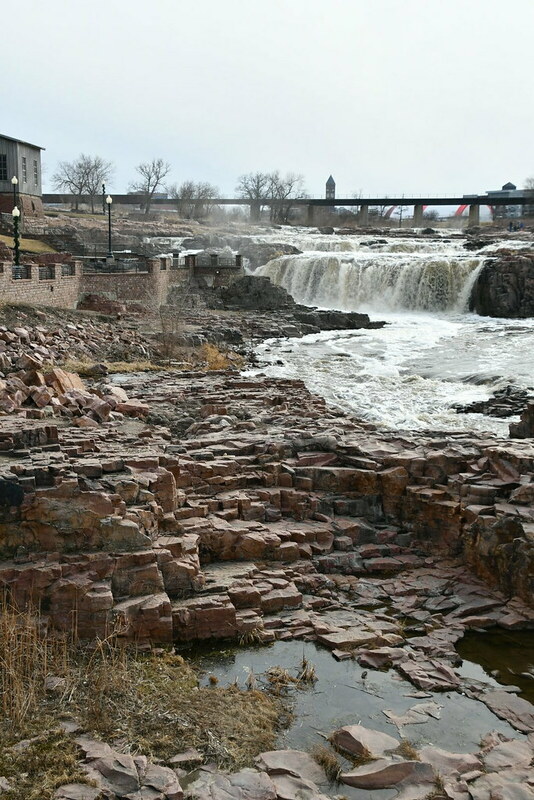 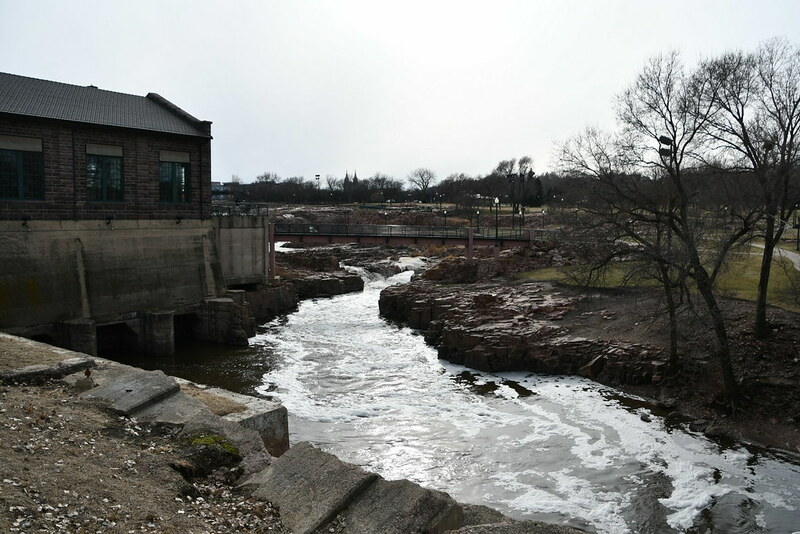 We'd driven past Sioux Falls, South Dakota, many times, but we'd never stopped to actually see Sioux Falls. 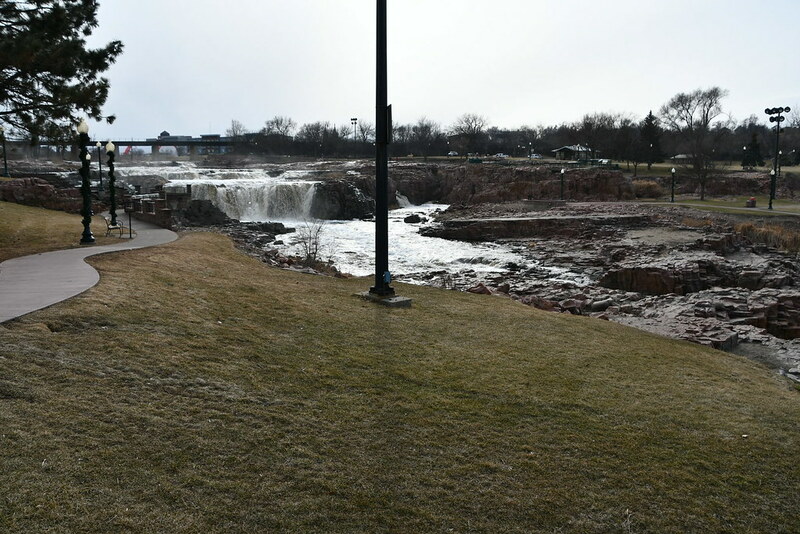 So we had a little extra time on Thursday afternoon, so we went downtown to Falls Park and viewed the falls. 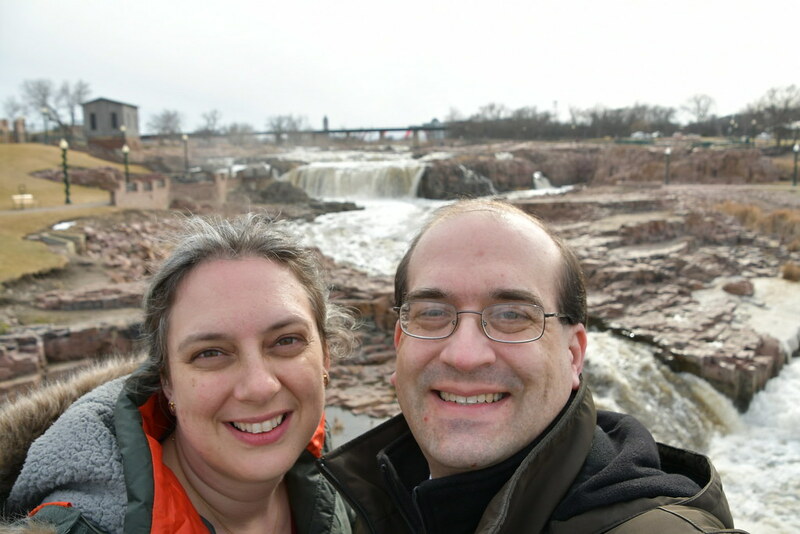 It was a chilly day with a cold wind, so it wasn't as enjoyable as it could have been. 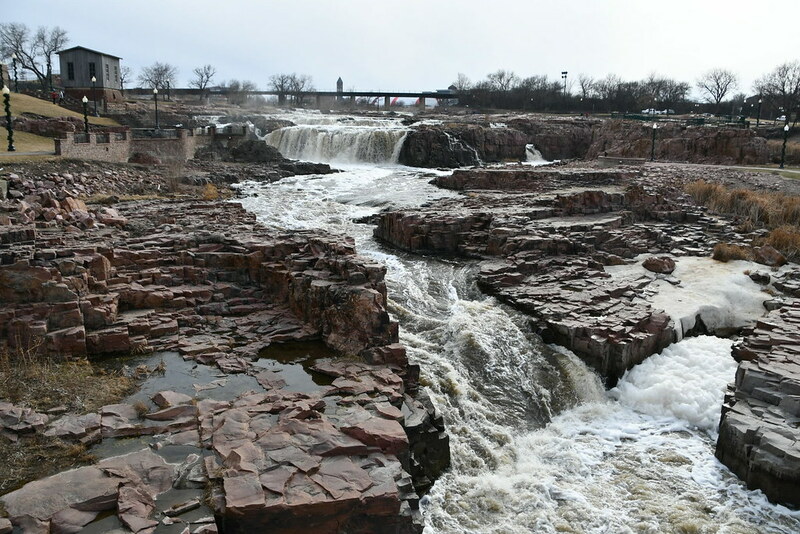 But I'd love to come back in the summer and walk on the rocks near the falls.